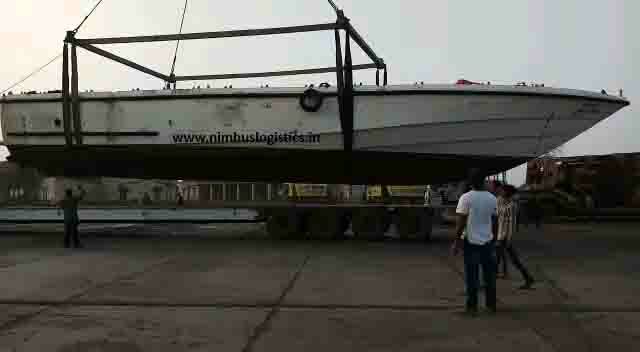 Nimbus Logistics has an extensive experience in transporting ODC and Heavy Boats from multiple locations in India. 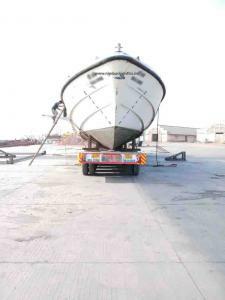 We have successfully transported boats of up to 72 feet length, 20 feet width, and 13 feet height. 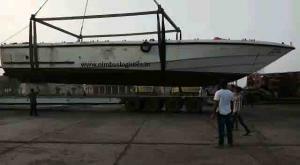 Below are photos of one of our recent accomplishment, where we transported a boat in dismantled in 2 parts. 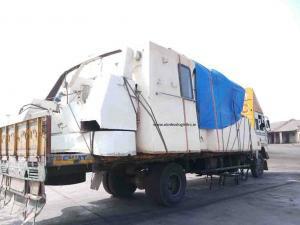 The main body of the boat measuring 72 feet in length, 20 feet in width and 10.5 feet in height, and weighing approx 35 Tons was transported from Okha Port to Dhamra Port. The challenge in executing this job was 3 fold. First, there were multiple railway crossings en-route which only allowed passage of cargo height under 15 feet from the ground. 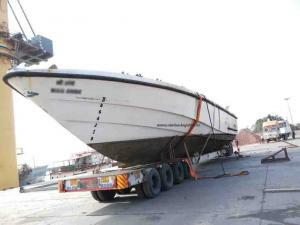 Second, at least 60 feet length of the boat was to be supported on the trailer. 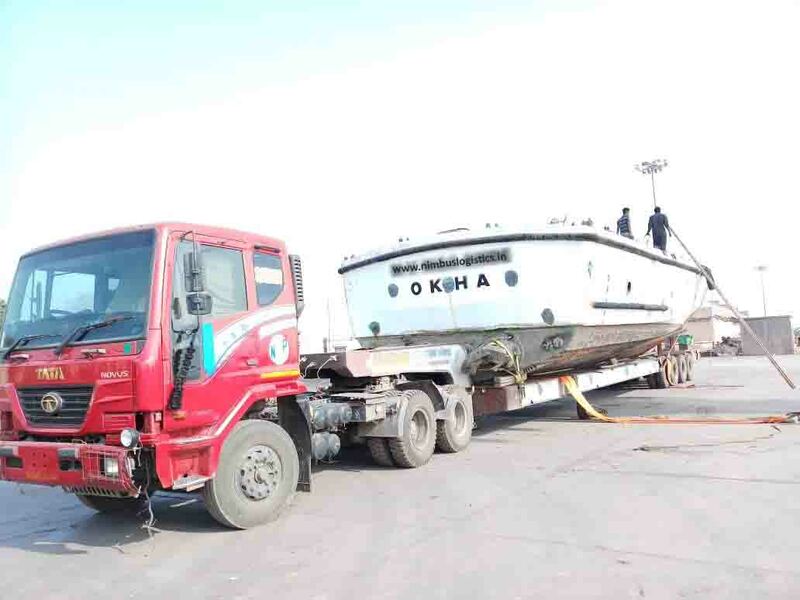 Third, the dimensions of the boat made it very difficult to transport to Dhamra Port as the only road connecting goes through multiple villages and the locals need to be managed to avoid any delays on road. 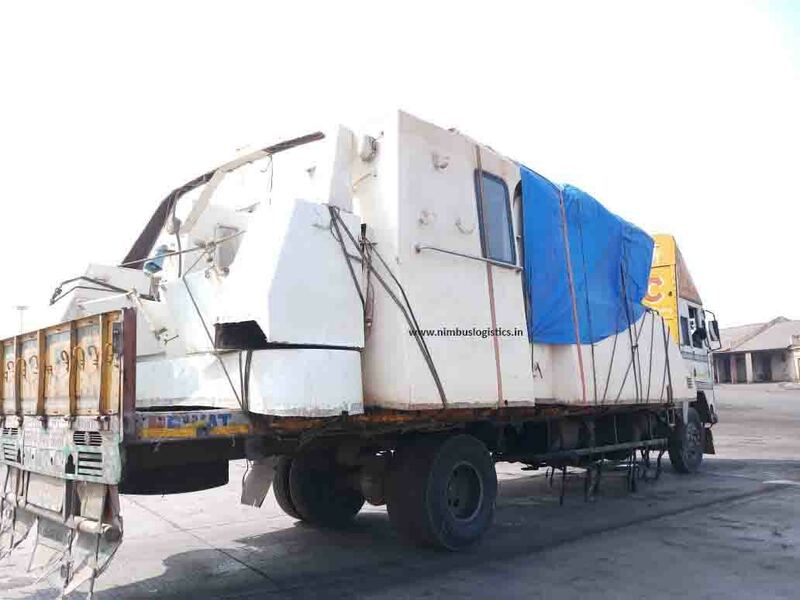 To keep the height from the ground under 15 feet and to support at least 60 feet of the boat, we used specially designed Long Bed Low Bed Trailer having 4 tandem axles, that provided a bed at a height of 3 feet from the ground and of loading deck of 60 feet. This achieved our primary 2 goals by keeping the total height from the ground at just 13.5 feet and provided a safe 60 feet support to the boat. To handle the transportation at Dhamra Port, we had a crew of 15 men and with the support of Port Authority and advanced planning, we were able to safely transport the boat on time. 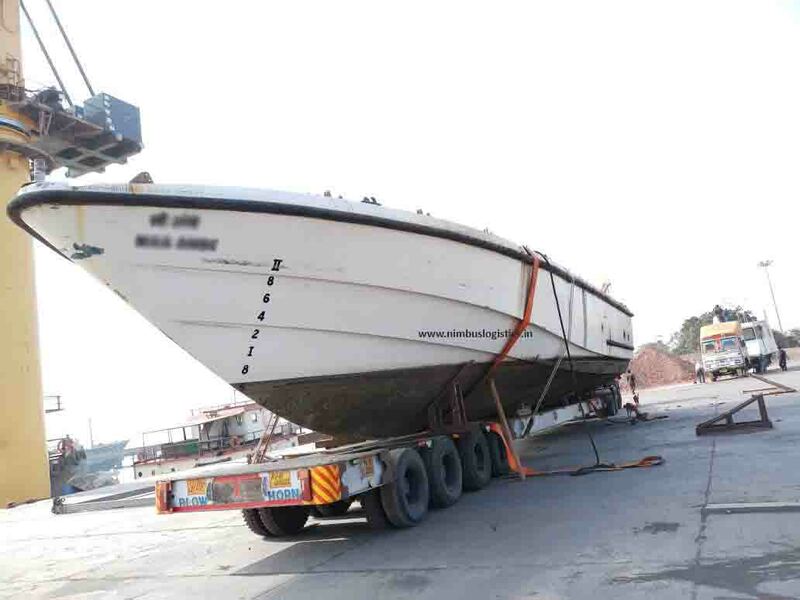 The boat was delivered safely in 22 days, well before the allocated time of 35 days.